The saying ‘You get what you pay for’ applies perfectly for the finest premium WordPress themes. These themes are packed with plenty of features that help you in creating all sorts of websites on WordPress. There are thousands of great themes out there but finding the one that will match perfectly with your need seems like a challenge. So in this post, we are sharing some fresh and beautiful premium WordPress themes that will help you in finding the best one. These premium themes are best to work with in 2015 because of their features include a shortcode generator, responsive design, and custom widgets, etc. You will find all kinds of themes ranging from portfolio, magazine, personal blog, music, video, and business themes in this shared list. The good thing about premium themes is that it’s always responsive so it can easily adjust with every screen resolution. Responsive website design is very essential for the success of brand which is looking to start its business. Premium themes are also SEO-ready so you don’t need to worry about getting your site visible on search engines. But the only thing required is to choose a premium WordPress theme that has such features. So take a look on the list below and choose your favorite one! All the premium themes featured above can be easily used without any geek skills. Every one of these themes has highest quality that will suit your website. If you want, you can also make adjustments to the theme accordingly. So I hope you have founded what you were looking for. If you like to share something with us, just leave a comment below. Podcasting has been popular for some time now, especially among the techies. You may have read a lot of articles on how to start a blog, but how can you take advantage of your WordPress blog to convert it and try to start podcasting? Here’s your must-read guide to podcasting using WordPress. Now that things are beginning to be put online, it’s becoming hard to imagine how and why some companies and individuals are not uploading anything on the Internet. Podcasts are online audio and video content delivered to users via Really Simple Syndication (RSS) feeds. Now, one of the many benefits podcasting offers is that listeners can play this content wherever and whenever they want. Because of the popularity of podcasting, it has turned journalists into bloggers, and radio personalities into podcasters. In addition, WordPress has been opened as an avenue not only for blogging but for e-commerce and podcasting as well. It is very easy for a blogger to both perform blogging and podcasting activities. *Disclaimer: This is the least costly method I know that will help you spark up your podcasts. Mostly, these are free services with the exception of your podcast host accounts (in S3 Amazon or Libsyn) and probably, your WordPress site. I’m also assuming that you already know how to start a WordPress site. If you happen to have no idea at all about this, click here. Let’s face it. Not everybody owns an iPhone, iPad, iPod. Not everybody even has iTunes installed in their computers. Having said that, it’s safer that you resort to hosting your podcasts in a platform that can be available to everyone. Good thing, WordPress is the perfect fit for that. WordPress has been a potent tool in sharing content. Its uses extend from simple text-based information to rich and dynamic data such as audio and video. Plus, with the variety of plugins and tutorials about WordPress out there, setting up everything and troubleshooting them is a cake-walk. To prepare your WordPress site for podcasting, simply create a category by logging in to your account. Hover on “Posts” and a submenu appears. Click on “Categories” then add a new category named “Podcasts”. You would also want to leave the “Parent” field to none. To finish everything, click on “Add New Category”. Now that you already created a category, you will post all your podcasts under this one. The links to your podcasts from now on will be filed under: http://yoursitename.com/category/podcasts. Just take note of this. Next thing you would want to do is to upload your audio files. Now you have a few options to do that. Key the phrase “Audio Player” in the search box and install the plugin created by Martin Laine. *You also have the option to download the plugin to your computer and install it by yourself. You can add a link from your website to a file from another site. You just have to link it to the WordPress audio shortcode ([ audio <space> link]). You can upload files to your blog’s Media Library and be able to edit, add, or remove the Title, Artist, Caption and Description of the File. If you want to insert it in a post, be sure to select the option called “Embed Media Player” and then click the “Insert into Post” button. It will insert the Audio Shortcode. Aside from this, you can also create playlists using your Media Library. Using several files that you have uploaded into your server, you can put together a list of podcasts that you want to play. You can even play them on your sidebars. Once your files are uploaded, a “Create Audio Playlist” tab will be visible in the “Add Media Window”. You can choose which tracks to include and insert in the post. Click on “Create a New Playlist” and you will be taken to the “Edit Audio Playlist” menu where you can drag tracks to reorder them. You can also include details in your Playlist Settings , remove or include Tracklists, Artists, Names and Images. From your WordPress Dashboard, hover on the “Appearance” tab. Drag the “Music Player Widget” to your desired sidebar. Click on the link to upload or choose your media. Another option is to create a download link that will require you readers to download the file to their computers and play it there. This is easier, especially if you are too conscious of the file size of your podcast, but you also need to adhere to copyright laws. Now that you have already uploaded your podcasts on your blog, they are now ready to be published. A feedburner stands between your blog and iTunes. Being able to publish feeds is pertinent because it gives you options to easily migrate to other websites. Feeds are a way for websites large and small to distribute their content well beyond just visitors using browsers. Feeds permit subscription to regular updates, delivered automatically via a web portal, news reader, or in some cases good old email. Feeds also make it possible for site content to be packaged into “widgets,” “gadgets,” mobile devices, and other bite-sized technologies that make it possible to display blogs, podcasts, and major news/sports/weather/whatever headlines just about anywhere. That being said, you will be needing a feedburner URL. To do that, go to feedburner.com. For this link, you will be needing a Gmail account. Google has centralized all services you need, so, having a Gmail account will be advantageous. You will eventually need it to use Analytics, WebMaster tools, AdWords, AdSense, YouTube, and, of course, FeedBurner. Paste it in the address and add “/feed” at the end of it. Check “I am a podcaster!”. Click on “Next.” In the case that you receive an error, that means your XML file is invalid. You need to check your blog is public (check Privacy Settings). Remember, private blogs can’t be submitted to iTunes. Next, in the “Identify Feed Source” window, you need to select or confirm the appropriate feed. If you see other options, click on the one containing “category/podcasts/”. Then, you need to review the feed article and address. You can always change or keep them. Click on “Next”. You will now be directed to the “Congrats” page. From there, you need to copy the feed address. (It begins with feeds.feedburner.com and ends with the title you confirmed. Afterwards, you need to tick on the check box next to “Include iTunes Podcasting Elements” in the “Configure Your Podcast” page. You will also be asked to select the category and subcategory for this. Next, you will be asked for the statistics tracking option. Click on “Next” afterwards. You now have your feeds prepared for iTunes store. As said, iTunes will be the distributor for your podcasts. For this, you will be needing an account. iTunes may also require you to key in your credit card number. But don’t worry, it’s totally free. Go to Apple’s instructions on testing your feed and following them. Now that you confirmed that you can listen to your podcast using iTunes, submit your podcast. After submission, your podcast will be reviewed by the iTunes staff. That means your podcasts won’t be readily available. Once your podcasts are accepted, you will be able to get a link to distribute them through email or website linking. Files can be hosted using your current server. It’s the easiest and least costly way to do so. However, when traffic increases, your server is prone to crashing and being permanently suspended. To make your podcasts high-quality, you also need to invest in your equipment. Yes, content is all that matters, but bringing in the content in a better way possible is a game changer. Here are a few gadgets you may want to invest in. You are now ready to Podcast using your WordPress site! We here at 1stwebdesigner are happy to finally see how you roll on those podcasts. We hope that we have helped you in this. If you have some questions, feel free to ask. The focus of this article is to provide you the best WordPress live chat plugins that you can use in your websites without any difficulties. There are many reasons to why using a live chat plugin will benefit your WordPress site or blog. If you have a theme developing website, you are going to be asking the people to invest their dollars for your product. It’s only fair that you make yourself available to visitors to answer any questions that they may have. A research showed that having a chat feature on your site can increase the conversions by 44 percent! Live chat is convenient for the customers and provides an immediate access to help. Live chat cuts down your expenses by lowering average interaction costs. It increases the efficiency by allowing live chat representatives to handle multiple chats simultaneously. Live chat increases sales by immediately taking the customers through your product and sorting out any confusion they have that can make or break a sale. Live chat gives you an edge on your competitor. According to a study, the cost savings and convenience for customers and staff make live chat a viable option for your business today as a freelancer. So without delaying any further, here are some of the best free and premium WordPress live chat plugins that freelancers can use in their business. However, a few free live chat plugins have some limitations such as you can’t log-in the chat room automatically, no full screen chat, and no Youtube video. But, as far as the chat goes, these free plugins are excellent to try! Bankcle Chat is a WordPress plugin that provides a reliable, highly customizable, and economical platform for live chat. Besides giving live support to customers, it also keeps you updated regarding your site visitor activity and tracking. You can also view the demographic and technical information of visitors. Bankcle can be easily integrated and configured, and automatically activates the free plan for your own account. This WordPress plugin is one of the fastest live chat services available. 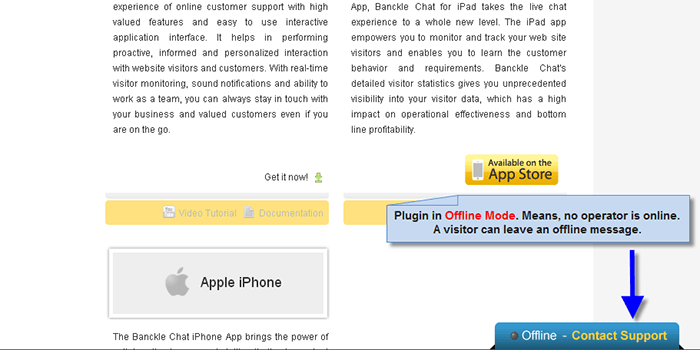 ClickDesk allows the web visitors to click to call and voice chat with you (website owner) directly from the browser. Visitors can also dial the local access numbers available in 40+ countries. You can manage your emails and offline chats with new integrated help desk. Agents can answer live chats and calls from online agent panel through Google Talk and Skype. 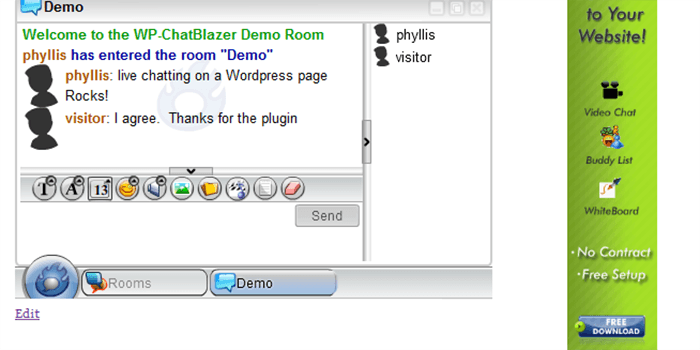 This plugin allows you to embed the Chatblazer application to chat on a WordPress page. You can post with an easy to use shortcode. You can host your own chatroom on your blog for interacting with your audience. It has an easy-to-use interface that allows users to video chat, chat by sending instant messages, and share all types of media. This plugin is highly flexible and supports and rooms, moderators, private messages, and public and private video chat, etc. It is BuddyPress-compatible, and automatically adds the avatars to user profiles in the video chat. It is simple to install and compatible with all search engines. 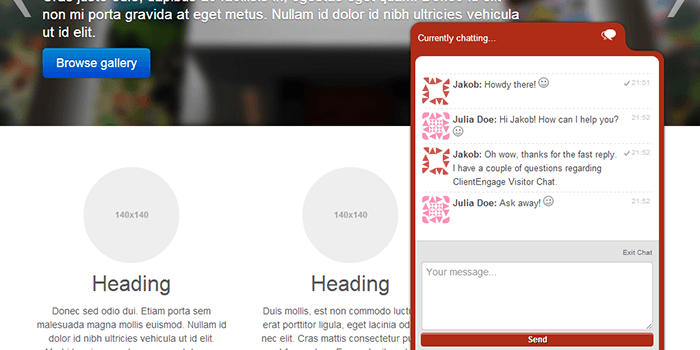 Flexy talk plugin allows you to get started with chatting to the Facebook fans and site visitors. You can easily do it from any device, including the mobile and tablets, etc. You can create a free account and enjoy unlimited chats with your visitors. Acobot plugin displays chat widget on your website, behind which is an intelligent virtual robot that can automatically say hello to every visitor on your site. This plugin can capture their email addresses or phone numbers for you. Also, it can answer their questions and address their concerns. This 24/7 customer help can turn your visitors into paying customers. This is a multi-channel communication platform for the websites. This plugin can be used to assist customers during their visit, provide support, and answer questions. There is no coding skill required for it. This plugin will enable Callback, VoIP, and Video on your website. Also, it includes fully customizable graphics and real time analytics. This plugin allows you to chat with your visitors with a clean and easy to use interface. You can respond to chats from your iPhone, or Android device. You can also enable the proactive chat to trigger live chat automatically with visitor after some defined seconds. 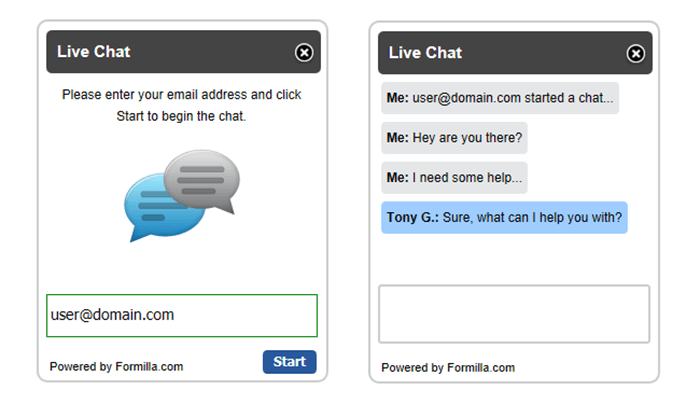 This plugin lets you easily add beautiful live chat to your site or blog. You can handle all the live chats, emails, tickets, Facebook and Twitter feeds. You can easily modify the look and feel of this plugin with custom CSS, logos, and messages. Chat plugin allows you to add a site wide-chat window in the bottom corner of your site. 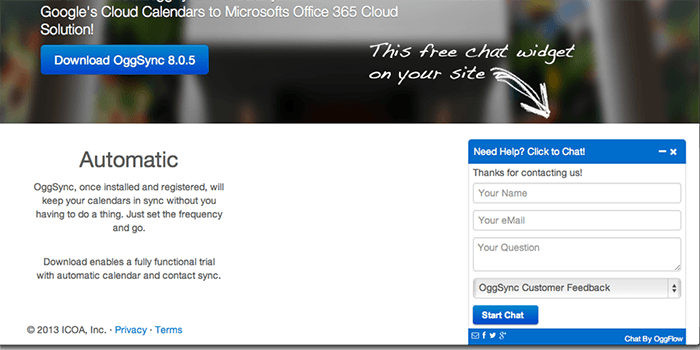 You can also add chat to any blog post or page, and answer support questions. Premium Live Chat plugins have no limitation at all; you can do whatever you like with your chatroom. These plugins make your site look more official. Top plugins help you in building your brand reputation for your products. By getting the reputation as a people-pleaser and as a business that value its customers can go a long way in making a good impression. All these premium plugins are a must for you! Live chat uses Ajax technique instead of Web Sockets because it is simple and works on all major browsers. No more server modifications with this live chat plugin. It works perfectly with PHP 5 servers and WordPress. Email notifications when visitor logs in a chat. The plugin is available in US$17. 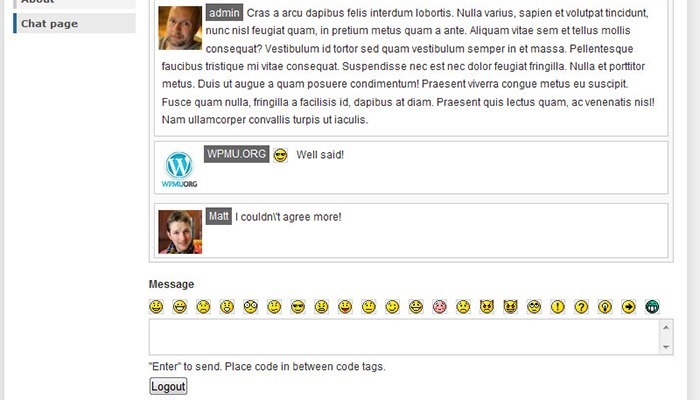 This plugin is fully featured real-time chat for your WordPress website. This plugin has a window-based client out of the box. Without having to visit the admin interface, you will be notified from your Windows tray from where you can start chatting straight away. This plugin will cost you US$33. This plugin provides real time chat for the customer support. The plugin has a 3-way widget embedding including auto, shortcode, and a WP widget. It also provides high quality emoticons and avatars. This plugin is available in US$28. 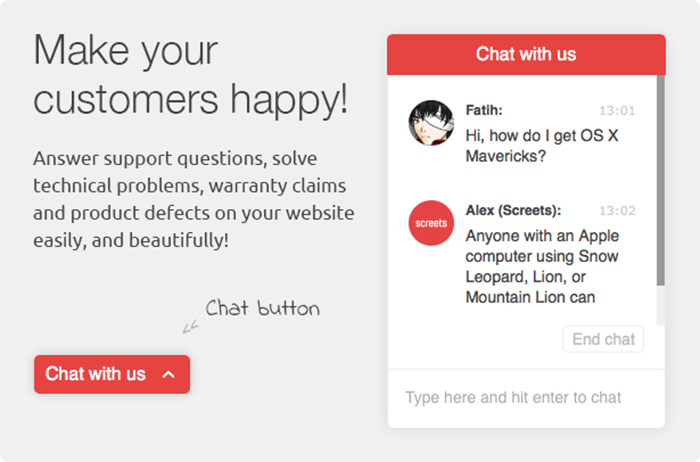 Chat X answers the support questions, and solves the technical problems and product defects on your website easily. You can easily customize your chat skin, and change the colors to fit your website look and feel. The plugin runs on Firebase technology to make your chat faster and reliable. The plugin will cost you US$24. This plugin provides premium customer service for your visitors. It allows you to have unlimited operators and departments, invite website visitors, transfer customers, track IP location, and advanced statistics, etc. It also includes customer feedback form, star rating and extended statistic. This plugin is available in US$24. There you have it: plenty of WordPress Live Chat plugins to choose from. All these plugins have something little different to share with you. Start making interactions and start converting your visitors into buying customers. What’s your favorite chat plugin? If you think I missed any important plugin that should be on the list, please do share it with us in the below comment section. How would you like some useful premium features for your WordPress site for free? Features include email subscriptions for new posts, commenting with Twitter and Facebook log-ins, and automatically sharing new posts to your social media network. WordPress Jetpack will let you perform these cool features on your website, for free. Jetpack is a complete toolbox full of mini-plugins. If you are in need of installing 30 separate plugins, you would have to find and install each one of them. But Jetpack gives you all needed features in a single plugin. Today, you will learn what the Jetpack plugin is all about and how can you get it on your site. Also, this article will help you decide which modules you need for your WordPress site. Website stats measure the behavior of visitors and track the details of your website. Jetpack has extremely concise stats with no additional load on your server. It provides information such as Referrers, Top Posts and Pages, Search Engine terms, Subscriptions, and Clicks. WordPress users often search for a plugin to improve the comments and make it easy for people to subscribe posts or blog. With Jetpack, your visitors can write comments and even have several ways to identify themselves. Your visitors can leave a comment as guests, or they can choose to use their accounts. JetPack allows you to easily incorporate social media sharing buttons. Just drag and drop from the given list of most relevant social networking sites available. You can also use different options to customize such as using a Facebook share button rather than using the Facebook Like button and so on. This can be a huge benefit to your site. Jetpack helps you avoid grammar errors and spelling mistakes that can be sometimes embarrassing. Once you have finished writing your post, you only have to hit the ‘ABC’ button for a full review of your post. If you host your WordPress-powered site and want to take advantage of these awesome features that JetPack provides, here is how you can install and activate this plugin. How to get the Jetpack Plugin? Majority of hosting companies install Jetpack with the 1-click WordPress Install. If your WordPress site didn’t come with an already installed Jetpack, you can get the plugin from here. After downloading the plugin on your computer, go to Plugins > Add New. Click the button ‘Add New’ and upload the file that you downloaded on your computer. Once you click the ‘Activate’ button, it will set up with WordPress yet will not be fully activated. This is because you need to connect Jetpack with WordPress.com to get authorized. For activating the Jetpack plugin, you will need to connect it to your WordPress.com account. If you are using the WordPress.org for your site, you will still need an account with WordPress.com. But don’t worry because it’s possible to get an account without using the blog service. When you go to WordPress.com for creating your account, remember to specify that you only need a username and not a blog. Once you have created the account, just click on the Jetpack plugin on your WordPress dashboard. Your Jetpack plugin is now fully activated on your site. Once you activate the Jetpack plugin, most of the modules will be automatically turned on. However, you can have the option to only turn on the most useful ones. This will help your site to keep up with the speed and loading time. For configuring the modules, click the Jetpack on your dashboard. Next, click the settings and uncheck the ones that you want to deactivate on your site. Once done, you can simply hit the ‘Apply’ button. Which modules and why do you need them? This module will turn your WordPress image gallery into an easy scroll in a carousel mode when users will click on your photos. If you don’t have a carousel turned on, all images that user click on will open in a new page, which can be annoying. 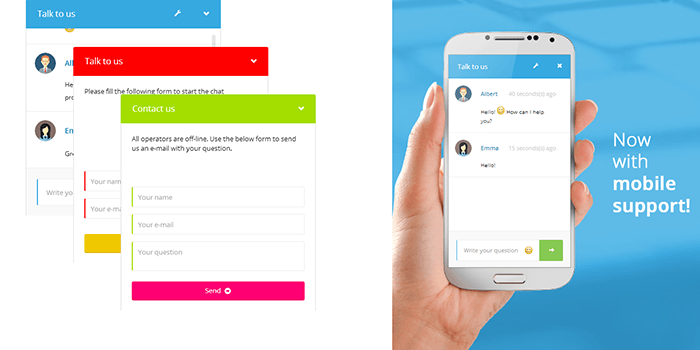 This module enables a simple and easy to use contact form that you can also edit. Click on the button ‘Add Contact Form’ and you can edit the fields, and then insert the form in your post or page. This module will allow you to add widgets to your sidebar without changing any code. If you want to add an image to your sidebar, you only need to drag and drop. It allows you to display galleries, top posts, Twitter timelines and more. This option provides a simple way to enable email notifications of new posts and comments to the readers of your site. Your readers can manage the frequency for receiving new posts through email, and also follow any discussion. This is one of my favorite features! If you have a crowded sidebar, this module will write rules for each widget. This way, you can have specific posts appear on specific pages and will not appear on others. With this module, you can enhance user experience by customizing your mobile website and making your site load fast. This module is great for speeding up your blog. All your images are uploaded to content delivery network (CDN) hosted by WordPress. This means that the browser can download more images at a single time, which results in a faster page load. This feature makes it easy to share your site’s posts on different social media networks automatically when you publish a new post. If you don’t want to include any of the social networking sites for your post, you can uncheck from the Publicize edit link. Instead of having to click a link to get on next set of posts, Infinite Scroll pulls the next posts automatically when the reader reaches the bottom of page. The cost to using all these features is absolutely free! However, according to the website, some of the individual Jetpack features may require payment in the coming future. But, you will be notified in advance about anything. JetPack gives you quick and easy access to excess of features at one place. Transitioning from WordPress.com to self-hosted WordPress is very smooth and improves your new site’s look and feel. It has excellent anti-spam protection. Perfect for personal bloggers whose needs are lightweight and not specialized. Some of the features require a manual activation while some of the widgets are auto activated, which can be little annoying. Jetpack is a single plugin which has multiple plugins within, therefore, the more plugins you use, the slower your site becomes. Why Do I recommend the Jetpack plugin? There are plenty of WordPress plugins available on the Internet that it can sometimes become hard to choose. Jetpack has a collection of exciting features, that are all part of the same plugin, so you can be assured that they will work together. Jetpack was developed by the Automatic, the same company behind WordPress.com, and they are also big contributors to the WordPress software. The coding is done with high quality and according to the needs of WordPress users. Above all, the support provided is exceptional from the community support forum and through the official support channel. If you ask me to use Jetpack or not, my vote is YES! Jetpack is useful for both experts and beginners because of its simplicity-based principle. It has a significant value when you consider how much it would cost to install all the features alone. With all these features, I would recommend that you try it on your site. If you have tried it out, why not share your experience with us? Leave a comment below! WordPress is a very powerful CMS. What is great about this is that it can be customized to the way you want it to be. You can add features and edit design and even create featured posts section in just a few minutes. There are features that you can see on the widgets area to display like the categories, the latest posts and archive posts. But what if you want to highlight some posts to your readers on your site? This is commonly known as “Featured Posts Content” or “Featured Posts Section“. It’s not a default feature that you can see on the WordPress “stock” installation. The good news is it can be added. In this article,you are going to learn how you can add a Featured Section on your WordPress site. Note: You will not focus on the design of the featured section here. Instead, you will be focusing on the implementation side of this tutorial. But please feel free to edit the CSS and customize the design the way you want it to be. A simple dummy WP theme called Test-theme was used in this tutorial. It is consists of a series of WP template files (but not complete) just for the sake of displaying featured posts. You can download it here if you want or you can use any other theme to go along with this tutorial. Open functions.php, and add the following function to register a checkbox meta box. This function will create and display a meta box on pages/posts edit screen in a form of check box. If users want to add posts to the Featured Section on the front page or any page, they can simply tick the check box. But for now, it won’t save the data yet since you did not add the function to save the data of the meta box. Once again open functions.php, and add the following snippets under the add_featured_meta_box function. These codes will check if the featured-post was set. It will update or save the data to the database using the update_posts_meta function. This function will update value of an existing meta key (custom field) for the specified post. The first thing this function will do is make sure that $meta_key already exists on $post_id. If it does not, add_post_meta($post_id, $meta_key, $meta_value) is called instead and its result is returned. Now for this part of the tutorial, you’re going to display the featured posts on the front page. To do this, copy the snippets below on your preferred WP template file and position. In this tutorial, codes on the index.php file located at the sidebar have been added. This code will simply parse the array of the number of featured posts to display, the ID and the value. Then using WP_Query, you will with the intricacies of a posts (or pages) request to a WordPress about our featured posts. Finally, you will loop the featured posts on the sidebar and get the details like the title, permalink, author, excerpt and so on. Note: CSS has been added on the dummy theme created; however, you can change it the way you want it to be. If you are going to check the front page, you will get result similar to the image below. Congrats! You have successfully created your very first featured posts section using WordPress meta box and some functions. If you are not comfortable doing all this, you can use a plugin like TSP Featured Posts and Featured Posts Widget. I hope this tutorial will be useful for you. If you have any way other than this to display a featured posts section please share it with us on the comment section. As WordPress introduced the Shortcode API in Version 2.5, a large number of plugins were released to help users add content to posts and pages in a user-friendly way. Although there are five of them already, the need for more shortcodes still continues as more and more plugin and additions of features are being developed. By that, this article is about how to create custom WordPress shortcode. Shortcode API is a simple set of functions for creating macro codes for use in post content. It helps developers to create special kind of content such as forms and content generators, which users can use to attach to a certain post or page. It usually comes together with themes or plugins. By just inserting something inside square brackets, it will replace that content with some other kind of content, usually being driven by a series of PHP functions. Although there might be some instances that you need to go beyond these steps, these two are the essential steps to build a shortcode. Let’s take a look how we can create a custom shortcode for the advertisement theme options created from a previous tutorial about how you can create a theme options. The primary handler function will handle all the details and content of the Shortcode. Open up your functions.php file and create the primary function. The name of our function is advertisement_1. Shortcode handlers are generally similar to WordPress filters: they accept parameters (attributes) and return a result (the shortcode output). For this part, add the $atts attribute. This is the most commonly used attribute which consists of an associative array of attributes or an empty string if no attributes are given. For this tutorial, you’re going to display the content of the theme option advertisement area from this previous tutorial. There are two advertisements here, the 743 X 82 px and 268 X 268 px banner ads. Looking into to the process of calling these theme options to the template files, you’ve got the following codes. Now, you need to call these inside your primary function and return the result. Use a variable $output to store the [banner1] option content, which is the 743 X 82 px banner ads content. Note: As of PHP 5.3, it’s now possible to create an anonymous function but this is not recommended since anonymous functions can’t be removed later by plugins or themes. For instance, when you distribute your theme, and another developer tries to customize or call it back via a child theme or plugin, it can’t be done. Changes made by an anonymous function is permanent and can’t be revised. Next, you need to hook the primary function into the WordPress to associate the shortcode of your theme options. This can be done using the add_shortcode function. Check out the code below. The name of the shortcode is exactly the same as primary function for simplification but feel free to set your own name. So by this time, if you use the [advertisement_1] shortcode the 743 X 82 px banner ads will be display anywhere according to the placement of the shortcode either in post or page. It’s actually easy to apply all of these steps on the 2nd banner, which is the 268 X 268 px banner ad. Check out the code below. Notice that you have the same set of codes except for the name of the primary function and name of the shortcode inside the hook. You also use the [‘banner2’] option to refer to the 2nd banner and then simply return it using the $output variable. Congratulations! You just learned how to create a custom shortcode using the theme options elements. I hope you found this tutorial helpful. If you have any questions or comments or you have other ideas on this topic, feel free to drop a line in the comment section. Enjoy coding! Don’t forget to subscribe on our newsletter below.